This is a simple 2 led cmos robot ( flasher, multivibrator ) circuit using CD4069 six inverter IC. 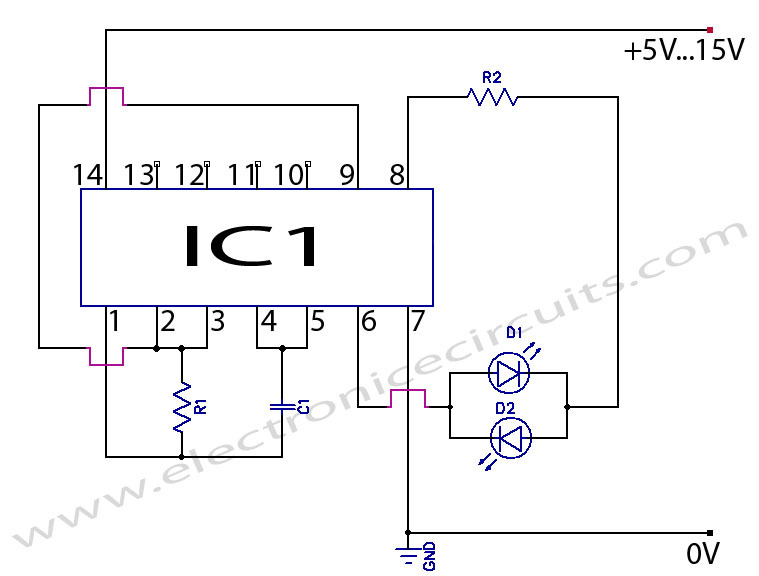 Inverters IC1-a and IC1-b from a multivibrator and IC1-c is a buffer. 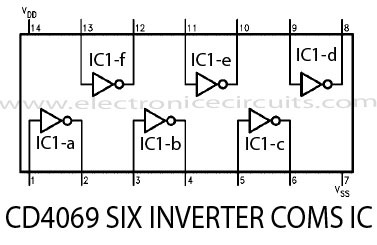 Inverter IC1-d is connected so that its output is opposite that of IC1-c; when pin 6 is high, then pin 8 is low and vice versa. 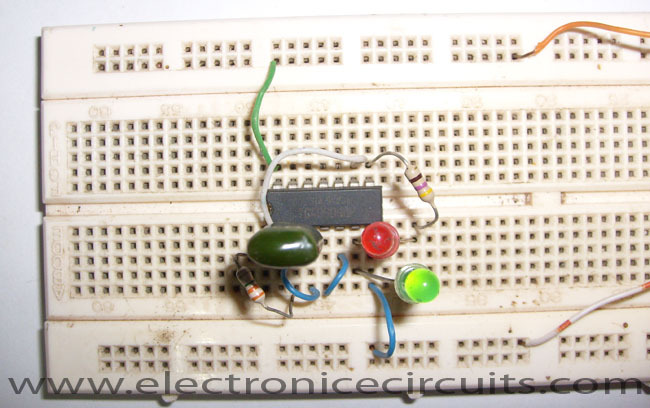 Because pins 6 and 8 are constantly changing state, first one LED and then the other is on since they are connected in reverse. The light seems to jump back and forth between the LED’s. 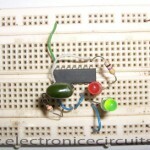 The R2 resistor limits LED current. 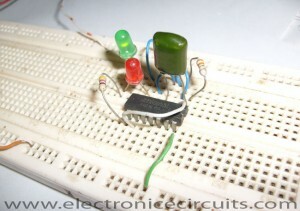 Depending upon the supply voltage used, the value of the resistor may have to be changed to obtain maximum light output. 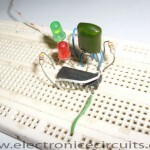 To change the switching rate, change the value of capacitor.